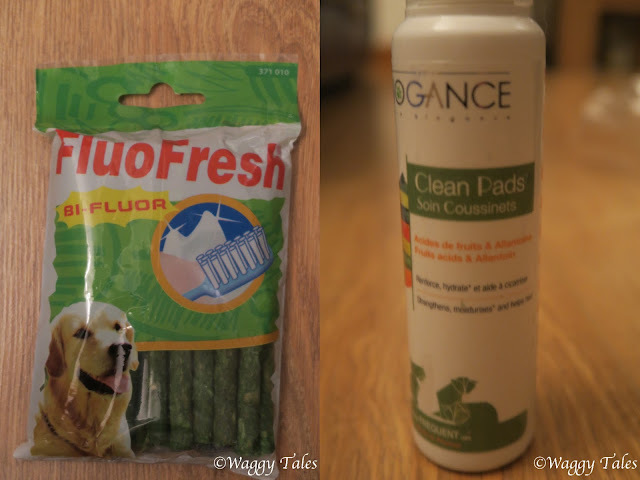 Product Review : February's Pawsomebox and a discount code. 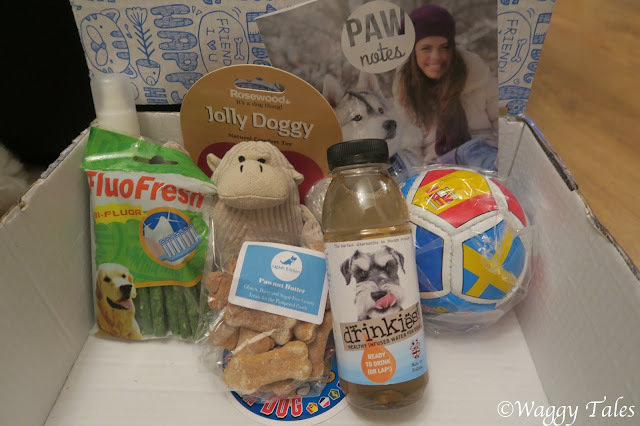 Pawsomebox is a UK based company offering a pet subscription service. 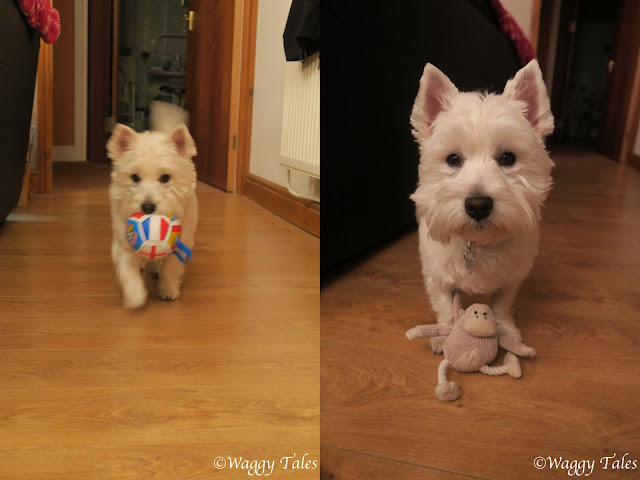 With a team of doggie parents they know exactly what make us tick. Pawsome understand that each dog is different. Puppy parents can set up a profile of their dog explaining their dogs age, breed, size and fur type and each box will be customised to your pets personal profile. What was in this month's Pawsomebox? Lottie could not wait to see what was inside. And who can blame her with all those products. With summer on its way, this football is great for when your pooch wants to be become the next David Beckham. It has a handy handle so that both you and dog can hold it at the same time, making the play possibility endless. If your looking of the ideal doggy companion for your pooch look for further. 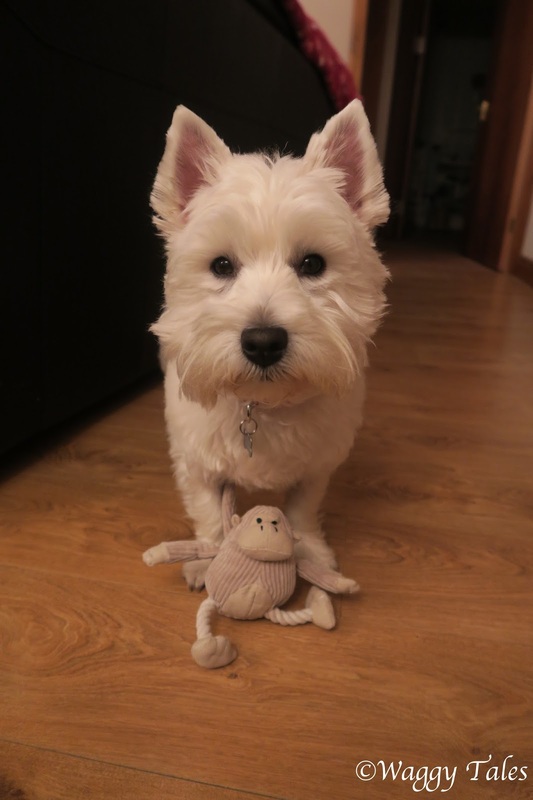 This cute little chap with be sure to keep them company whilst snugged up in bed. As it only small its makes it perfect for those smaller breeds who loves to carry things around. M&M's Kitchen Pawnut butter Dog Bone Biscuits. 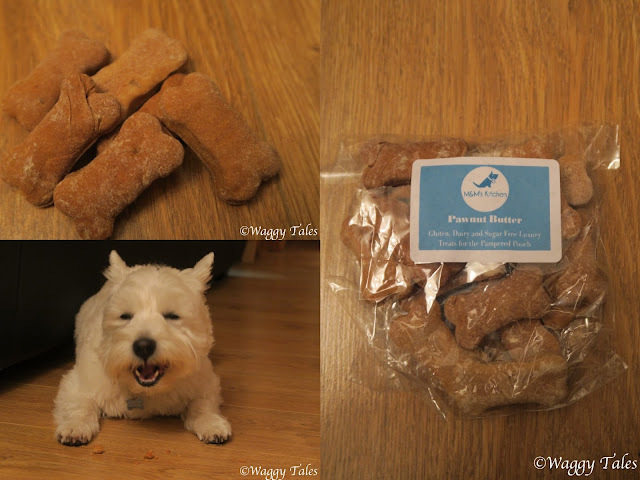 These handmade dog bone biscuits made from rice, peanut butter, honey and vegetable stock are sure to tickle your dogs tastes buds. 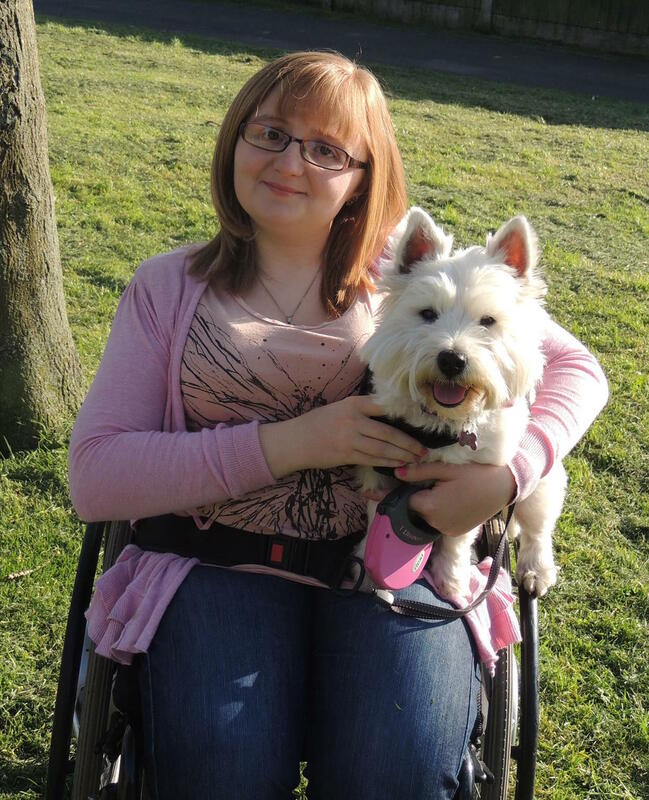 They are free from gluten, dairy or sugar so are ideal for those dogs with sensitivities, like Lottie. 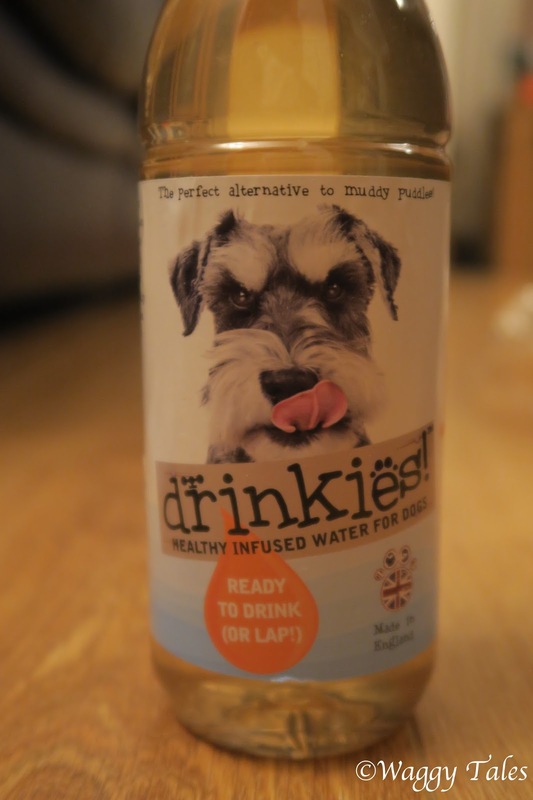 Drinkies is a practical way to keep your pooch well hydrated instead of drinking out of muddy puddles. It 100% natural ingredients helps to protect your dogs digestive and immune system. Now we all know the best way to look after your doggies teeth is a daily brush. But saying that is defintely easier than doing it. Wrestling with a terrier each day is less than ideal. Fluo Fresh has come up with a handy way to sort out this dilemma. these strips help to fight against tatar build up but also freshen breath, which is always a added bonus. Clean pads is another one of the Biogance hygiene range. Its a daily spray aimed at dogs who experience pad irritation or live in cold conditions. It help heal small wounds and damanaged skin as well as hydrating the pads making it ideal for those winter spell. 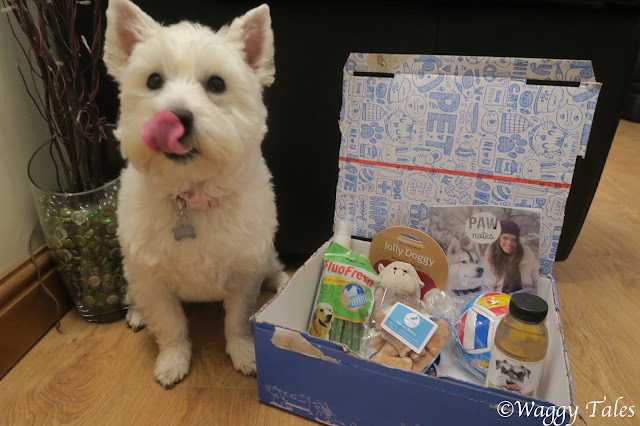 We loved this months Pawsomebox, we feel it offers a wide variety of products (more importantly products that your pooch is bound to love) Each month you get to try and test new product that you necessarily buy or are able to buy from the high street. We feel its great value for money, especially with such a wide variety of subscription plans. If you want to spoil your pooch then a monthly subscription box from Pawsomebox is definitely for you. 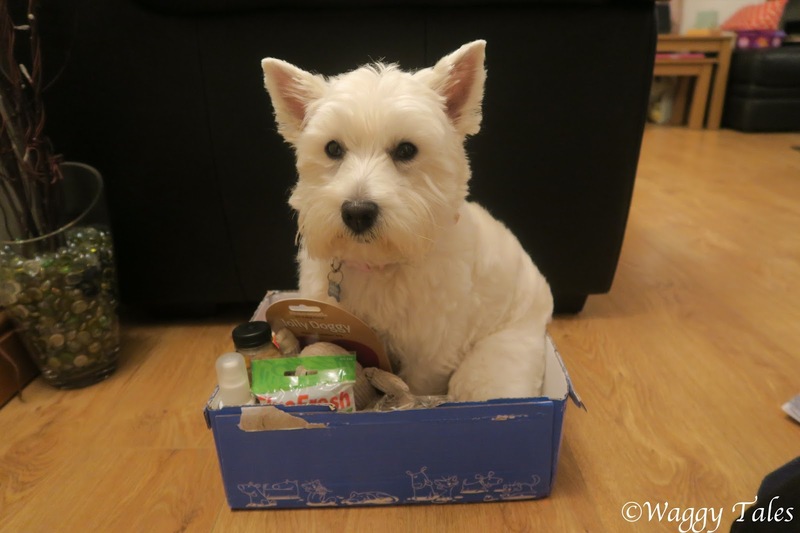 Pawsomebox has also very kindly sent us a discount code which give you £5 off your first box. Simple enter the code - ukb57a52 at the checkout to remend the discount. To purchase your Pawsomebox simply click here. 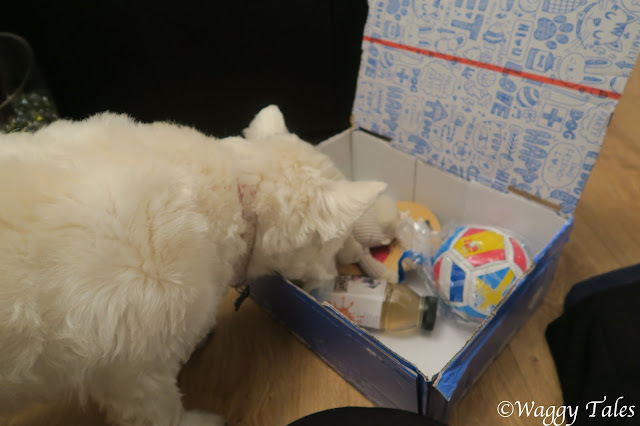 Ee received a subscription box from Pawsomebox at no charge in exchange for our honest and fair review of their product. All opinions expressed here are our own and truthful!